Software development teams are quickly discovering the benefits of adopting Agile methodologies to help improve their productivity. There is never a dull moment in Agile as the iterative approach helps continuously smoothen proceedings and find improvements in the project. Familiarity with the core principles of Agile and Scrum has become very important for team members. Agile and Scrum training is designed to help professionals understand the most complex of processes and help the organisation transition into an Agile one. The course will include hands-on practical lessons along with a strong theory element to prepare students for the different scenarios that they will face in the real-world environment. Find out more about this very impactful learning program. The training begins with a lesson charting the differences between Waterfall and Agile before the trainer introduces the Agile process. What are Agile Flavors? How does one define Agile Project Delivery? These are some of the many questions that will be answered in detail. As the course moves on, there will be lessons on Scrum 3*3, Planning and Estimation process, and the core tenets of Scrum. Towards the culmination of the course, there will be lessons on important topics like Kanban and Agile Adoption. The training wraps up with Agile Project Simulation. At the end of the course, participants will have a good command on the basics of Agile and the four-phase approach of this process, i.e., Concept –Initiate – Deliver – Deploy. Your instructors will be established trainers who have vast experience in Agile and related training. After the course, you will be quite familiar with the Agile manifesto and the different techniques and frameworks involved. 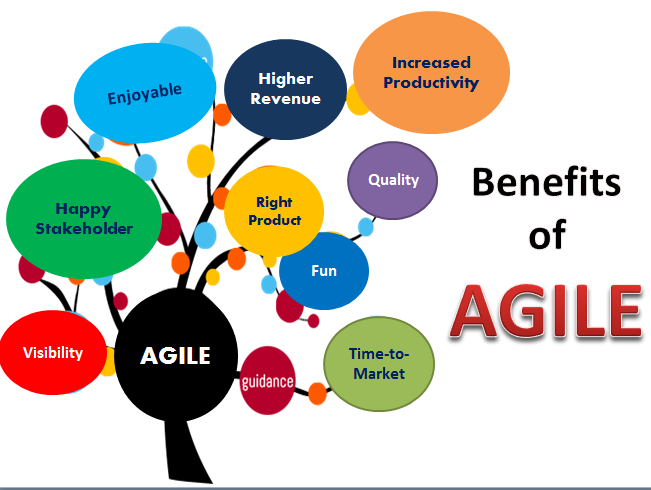 You would have learnt how Agile can increase business value and why it is most ideal for software development projects. At the end of this concise and comprehensive training program, each participant will gain 8 PDUs and 8 SEUs. Being a one-day program, it can be accommodated in even the tightest of schedules. Participants will also have access to exclusive courseware which can be a rich source of resources when they apply Agile techniques in their respective organisations. Another benefit of the course is that all participants will have 100 days of access to the Agile and Scrum e-learning modules allowing them to revisit and strengthen their knowledge base. The course completion certificate they will gain is recognised by top organisations. The Agile and Scrum training is open to all – there are no specific prerequisites as long as the participants are ready to learn more about Agile and its different elements. The course is available in three different formats – classroom, online classroom, and e-learning. The interactive style of the program ensures that whichever method you use, you will have an uncompromised learning experience. With a presence across the world, KnowledgeHut has helped thousands of students gain career-defining credentials with its blend of exclusive study techniques and a celebrated team of trainers.